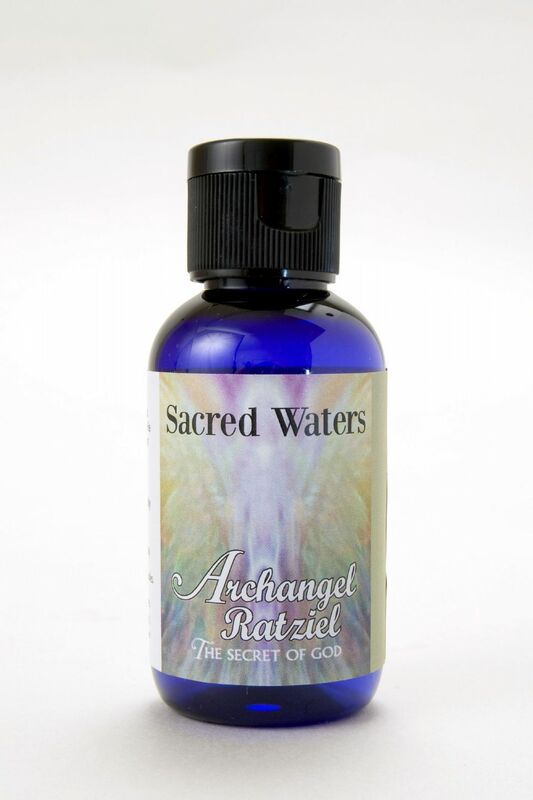 Embrace the enchanting energy of the Sacred Waters of Archangel Ratziel, keeper of the secrets of the universe, and helps us understand information which is divinely received. Embrace the enchanting energy of the Sacred Waters of Archangel Ratziel, keeper of the secrets of the universe, and helps us understand information which is divinely received. He opens us to higher levels of psychic ability and increases our perception of divine hearing, seeing and knowing. This spray can be used when undertaking any spiritual development work as it clears negative thought forms. A magical formula containing the aroma of Frankincense, Holy Basil and Rose. Floral Water. Holy Water. Gem Essence of Labradorite.